Meet Kevin, the opinionated feline who is full of cat-titude. Kevin has a craving. He wants custard, and he wants it NOW! 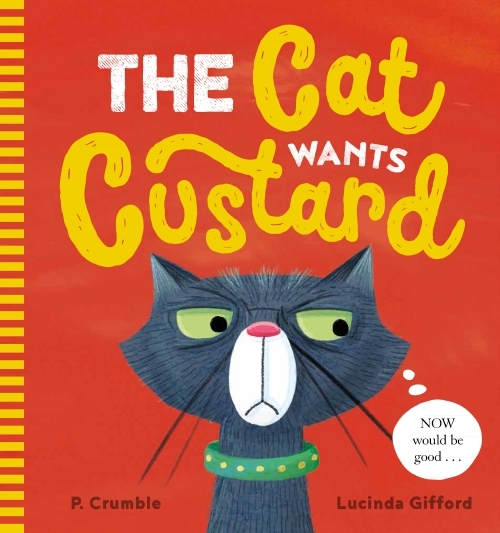 Follow the hilarious antics of a cat trying to get its human companion to give him what he wants, including using his own body to spell the word CUSTARD! Will he succeed? A brilliantly funny picture book treat.